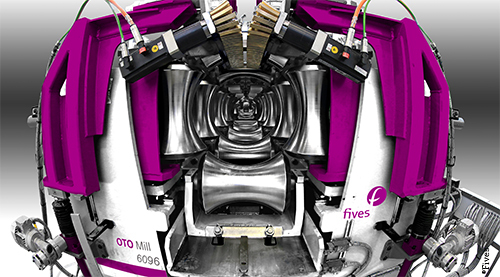 Fives signed a contract with a leading stainless steel tube producer in Europe to design, manufacture and commission an innovative tube mill 24’’ for 6 mm wall thickness fusion welded tubes. OTO tube mill was designed to process stainless steel tubes for different applications: power generation, chemical, pharmaceutical and food industries. The equipment was commissioned in October 2015 at the customer plant.